The NVIDIA GeForce GTX 1050 Ti and GeForce GTX 1050 both go on sale today, October 25th. 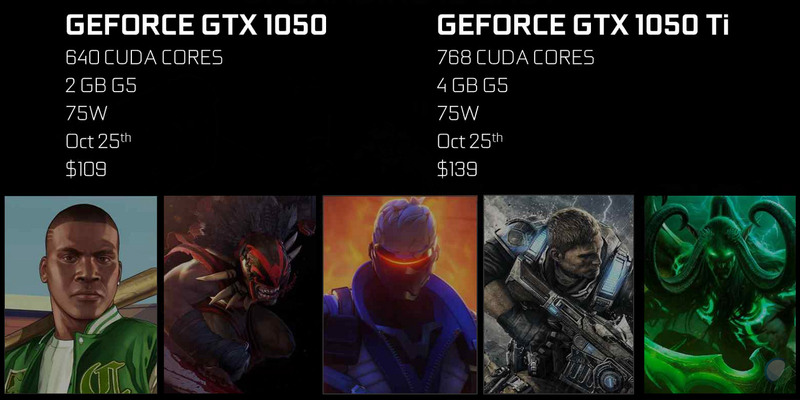 The GeForce GTX 1050 Ti 4GB graphics cards will be priced from $139.99 and the GeForce GTX 1050 2GB will be priced starting at $109.99. 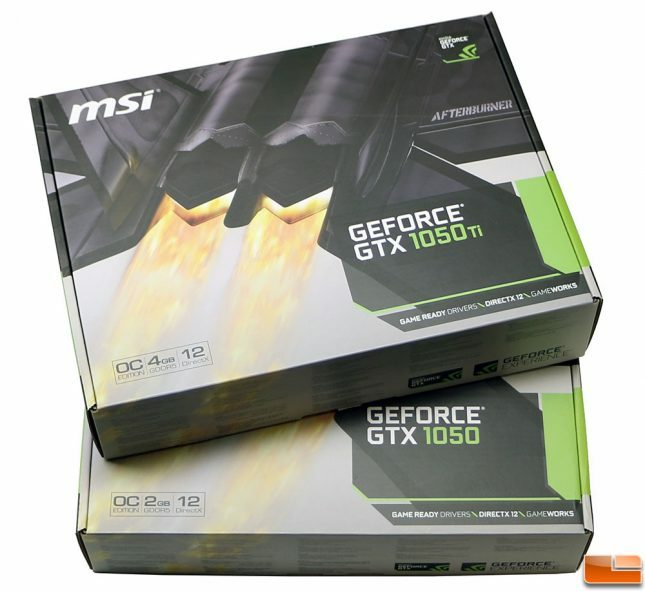 The GeForce GTX 1050 and GeForce GTX 1050 Ti both are built using the cutting edge NVIDIA GP107 ‘Pascal’ GPU and were designed to be the perfect solution for gamers looking to discover casual PC gaming. NVIDIA claims that the GeForce GTX 1050 Ti and GeForce GTX 1050 GPUs have been designed to deliver the best performance and power efficiency in their class. Internal testing down by NVIDIA shows that the new GeForce GTX 1050 Ti ($139) should easily defeat the AMD Radeon RX 460 ($99) on a bunch of different games, and claims 40% performance improvements and 128% greater power efficiency than its rival. Thanks to such sold performance on the GeForce GTX 1050 Ti, NVIDIA believes you’ll be able to play “today’s most popular games” at 60fps on a 1080p display, while drawing just 75W of power. In fact, NVIDIA says that the GeForce GTX 1050 Ti should be able to handle 1080p gaming with medium to high graphics settings and FXAA, MFAA, or 4xMSAA enabled. This is why NVIDIA is hoping to get people to upgrade from older graphics cards or those running integrated graphics that are built-in to their CPU that might be looking for a discrete gaming graphics card for the first time ever. If you want to play the latest today’s latest game titles, you’ll need a discrete graphics card to have a good gaming experience. 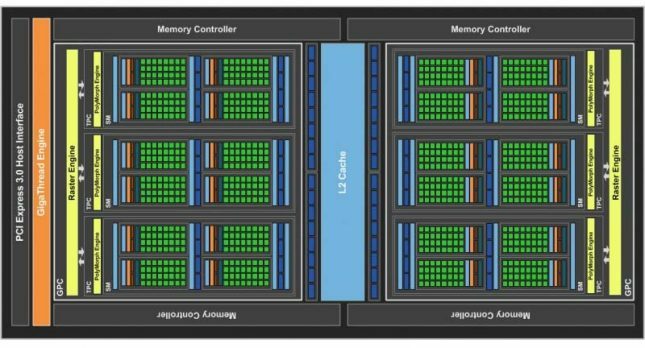 The NVIDIA GeForce GTX 1050 Ti ships with 768 CUDA Cores and 6 SM units. 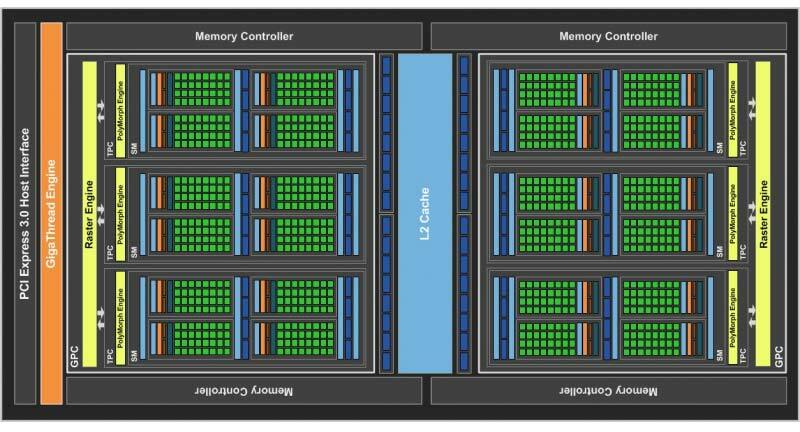 The memory subsystem of GeForce GTX 1050 Ti consists of four 32-bit memory controllers (128-bit) with 4GB of GDDR5 memory. The base clock speed of the GeForce GTX 1050 Ti is 1290MHz. The typical Boost Clock speed is 1392MHz. The GeForce GTX 1050 ships with one SM disabled, so there are only 640 CUDA cores and two fewer Texture Units and ROPs. NVIDIA helps make up for this by raising the base clock of the GeForce GTX 1050 to 1354 MHz and the boost up to 1455MHz. Here is a quick look at the block diagram of a fully enabled GP107 GPU for those that are interested in seeing it! Today we’ll be looking at the MSI GeForce GTX 1050 Ti 4GB OC Edition and the MSI GeForce GTX 1050 2GB OC Edition graphics cards. 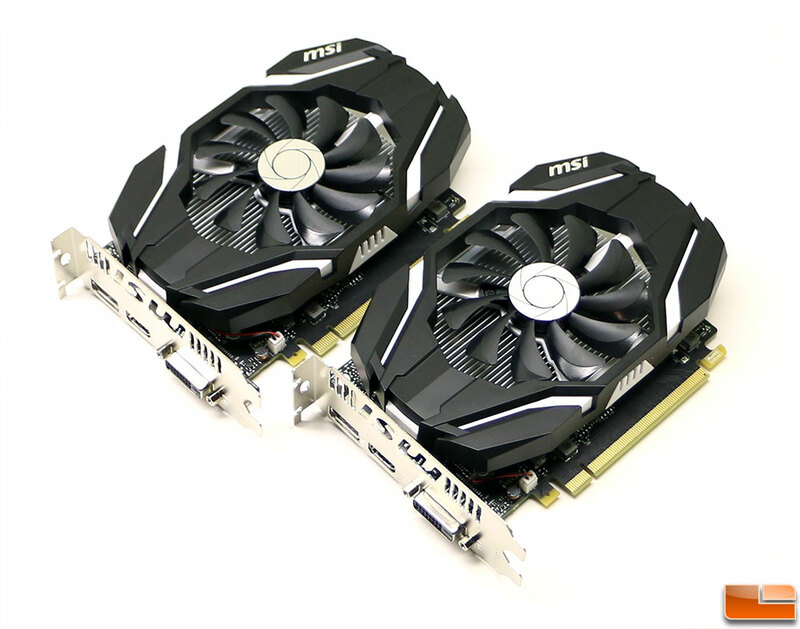 These cards aren’t part of the flashy ‘Gaming’ or ‘Hawk’ video card series, but they are priced at the NVIDIA MSRP of $109.99 for the GeForce GTX 1050 2GB and $139.99 for the GeForce GTX 1050 Ti 4GB. The MSI GeForce GTX 1050 Ti 4GB base model comes clocked at 1290MHz base with a 1392MHz boost clock speed. The model that we are looking at today is the MSI GeForce GTX 1050 Ti 4GB OC model comes clocked at 1342MHz base with 1455MHz boost clocks. The MSI GeForce GTX 1050 2GB base model comes clocked at 1354MHz base with a 1455MHz boost clock speed. The model that we are looking at today is the MSI GeForce GTX 1050 2GB OC model comes clocked at 1404MHz base with 1518MHz boost clocks. Both cards are pretty much visually identical and share pretty much all the same parts. Other than the already mentioned GPU differences we noticed that the MSI GeForce GTX 1050 Ti was using 4GB of GGDR5 memory by Samsung, while the MSI GeForce GTX 1050 was using 2GB of GDDR5 memory by SKHynix. 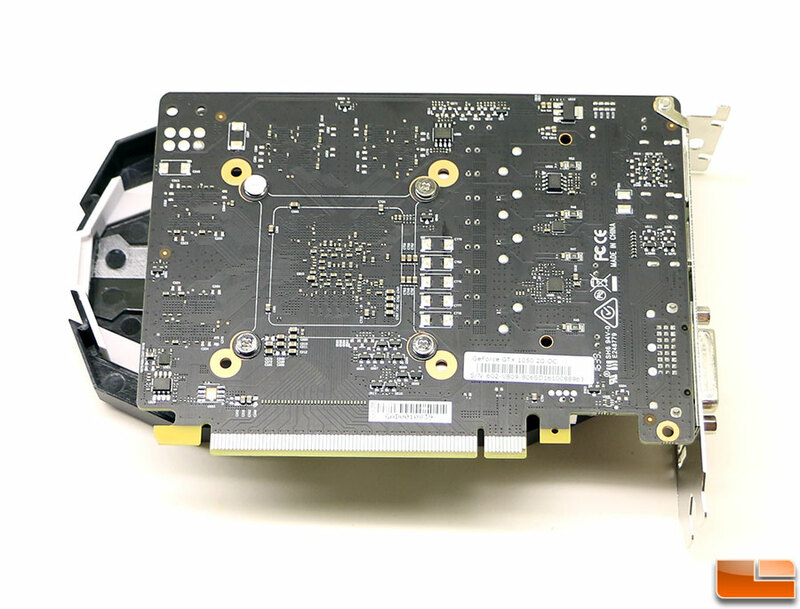 Both the MSI GeForce GTX 1050 Ti and GeForce GTX 1050 measure in at 6.875″ in length and will easily fit in the majority of desktop PCs as there is no extra power connector required. Notice that the fan shroud extends past the PCB of the card. 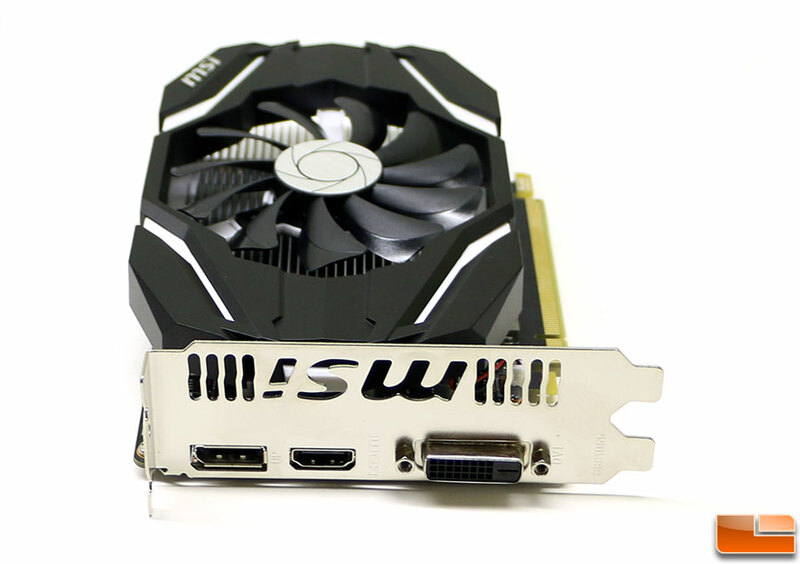 The black PCB on the MSI GeForce GTX 1050 cards is just 5.875″ in length! MSI went with one DisplayPort 1.4 output, one HDMI 2.0b and a Dual-Link DVI-D connector when it comes to video outputs. The HDMI 2.0 port does support 4K (up to 4096×2160) @ 60Hz! Both the GeForce GTX 1050 and the GTX 1050 Ti can drive up to three displays.